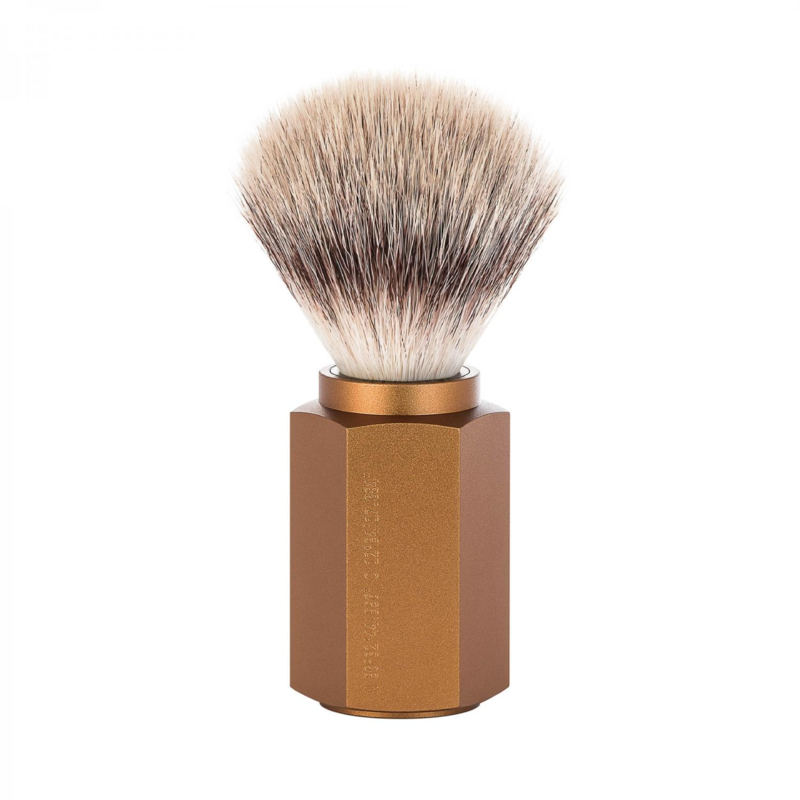 Simpsons Duke Shaving brush, by Ed. 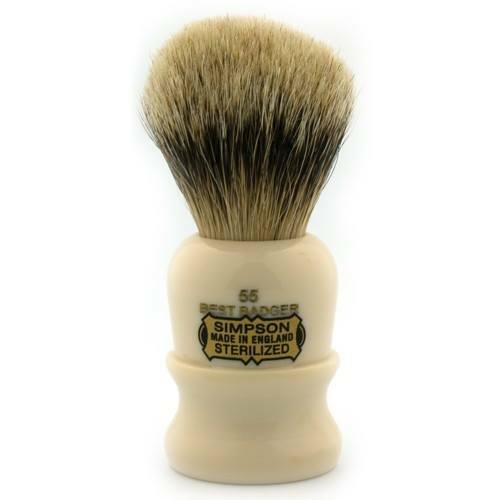 Simpsons best badger hair, Is softer than most traditional shaving brushes. Handmade In the UK since 1919, this family run business started In London’s East end. We think they’re branding Is Just great, utilitarian yet grand. Best badger Is the middle grade on the hair scale and there Is a lot of brush here for the price, as there Is a large knot that is very full. The loft of the brush is 47 mm and the ring diameter Is 22 mm. This sturdy brush has a great plume that Is so dense, buying Into the Simpsons brand Is to buy quality. The Simpsons Duke handle Is In they’re trademark light tobacco acrylic, which has stayed the same for a century. It Is high grade and will not stain or blemish with time. Hand turned and polished several times to create a great finish. 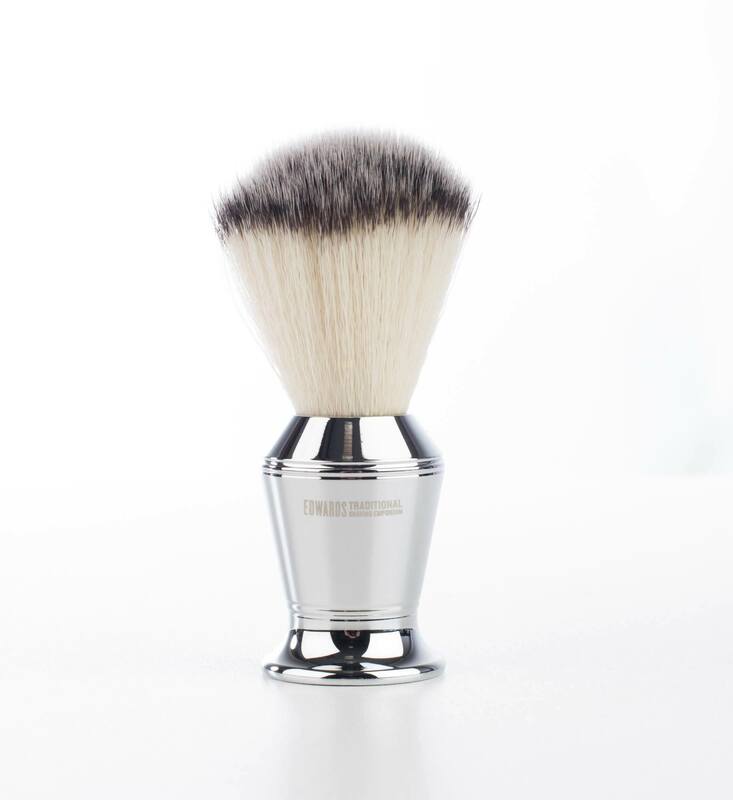 A good traditional shaving brush, should last for at least a decade. To maintain this excellent brush, you Just need to rinse after use, shake then leave to dry In an upright position. At Edward’s we are all about customer service, please contact us In regards to any question you may have about traditional shaving. We also have a wealth of great Information on our blog about shaving styles and shaving product descriptions. Why not have a look at the rest of our Simpsons range see link. 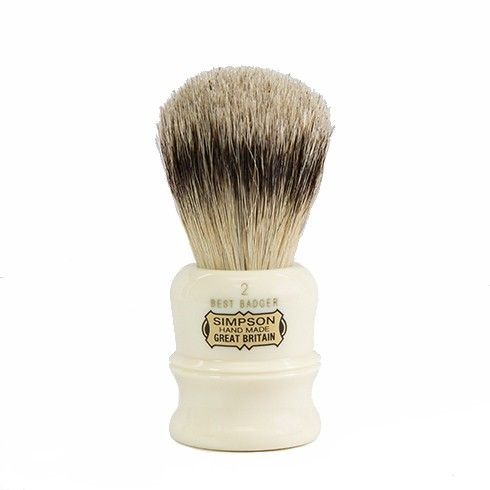 The Simpsons Duke 2 Traditional Shaving brush, Is a great brush It has the Edward’s stamp of approval.